Located in the heart of Port Douglas. 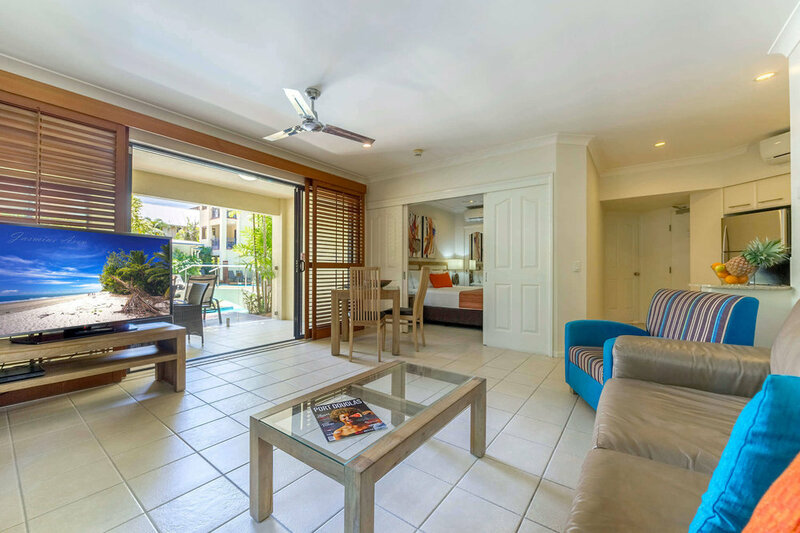 Meridian Port Douglas is a contemporary boutique resort that offers 33 luxury 4 ½ star apartments for couples in a selection of self catered Studios and One Bedroom Apartments. Meridian is ideal for couples requiring a peaceful and relaxing getaway and is suitable only for mature guests over 16 years of age. The resorts central feature is the heated lagoon style pool with a sundeck, large BBQ area and 8 guest Jacuzzi all set amongst lush tropical gardens. For the true romantic our private pool decks extend from the superior rooms directly into the lagoon swimming pool. 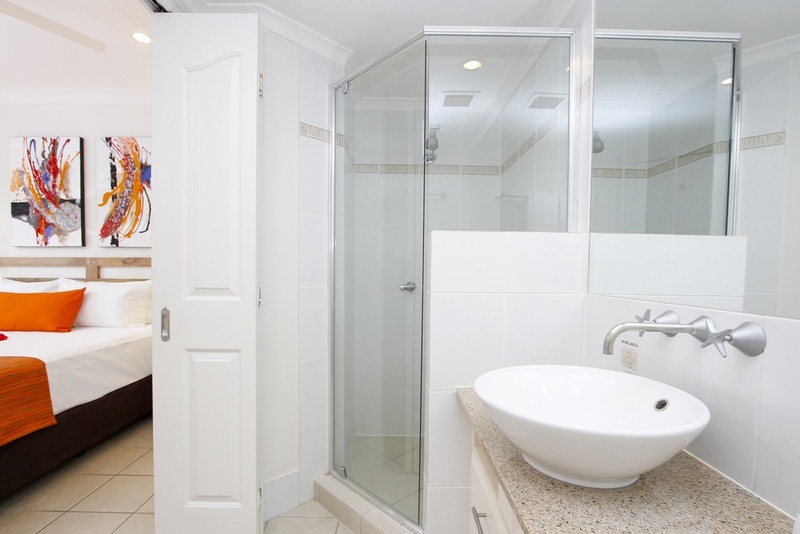 Meridian is a true haven for couples wanting to escape, in the heart of vibrant Port Douglas. 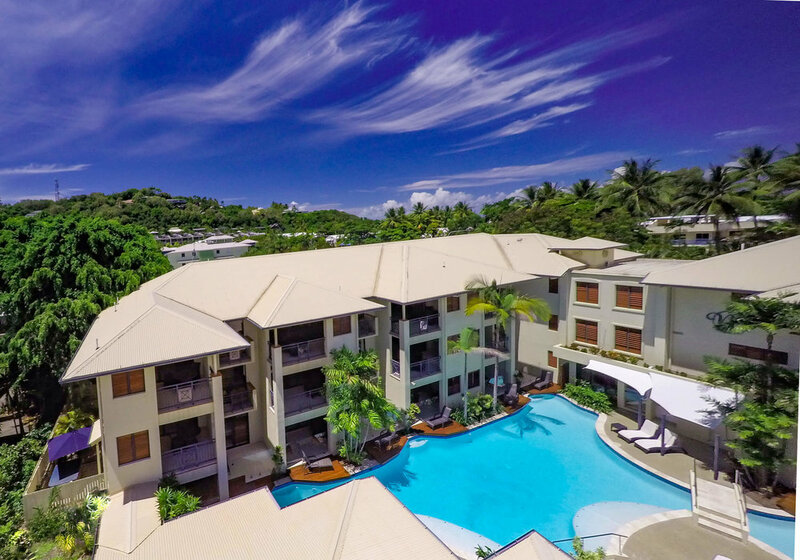 Meridian is perfectly located within walking distance to the heart of Port Douglas village. Four Mile Beach is only 200 metres, the cosmopolitan restaurant strip of Macrossan Street is only 100 metres and the Marina, for daily departures to the Great Barrier Reef, is located just 400 metres away. Book your tours and activities prior to your stay!